ProCam 4Cast is a unique system developed in 1994 for collecting real world crop production and agronomy data. Updated every year with the latest customer results and verified by Dr Farnon Ellwood of the University of the West of England, ProCam 4Cast works by analysing over 20 years of knowledge and interpreting it in many different ways. For example, it can be used to identify national trends and regional variations as well as allowing ProCam agronomists to make specific recommendations designed to achieve the best outcomes for individual growers. 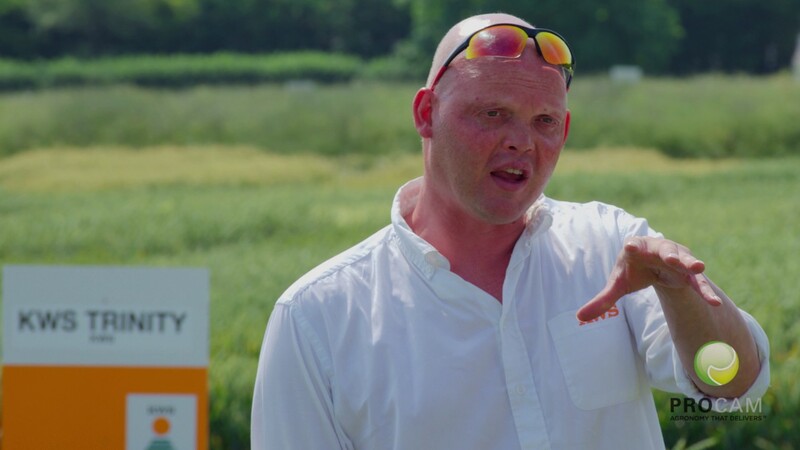 Unlike conventional trials-based research programmes, which we also have a significant investment in, ProCam 4Cast is based on real world performance of varieties and inputs at farm level in all manner of growing conditions across many years. The data typically covers soil type, region, cultivation, rotation, crop type, drilling date, fertiliser, crop protection inputs and nutrient use. Using this information, ProCam agronomists can identify benchmarks of what can potentially be achieved in individual enterprises, from both production and financial points of view, and base their agronomy recommendations on these accordingly. It is in effect an ‘outdoor laboratory’ of arable science and one of the main factors behind why our customers consistently achieve higher yields than the defra national average.